2018 marks an important anniversary for Lea & Sandeman as we celebrate our 30th Anniversary, but also for Nyetimber, probably England’s most famous producer of Sparkling Wine. In 1988, as Charles and Patrick were busy setting up L&S in London, the Nyetimber vines were being planted here in West Sussex. 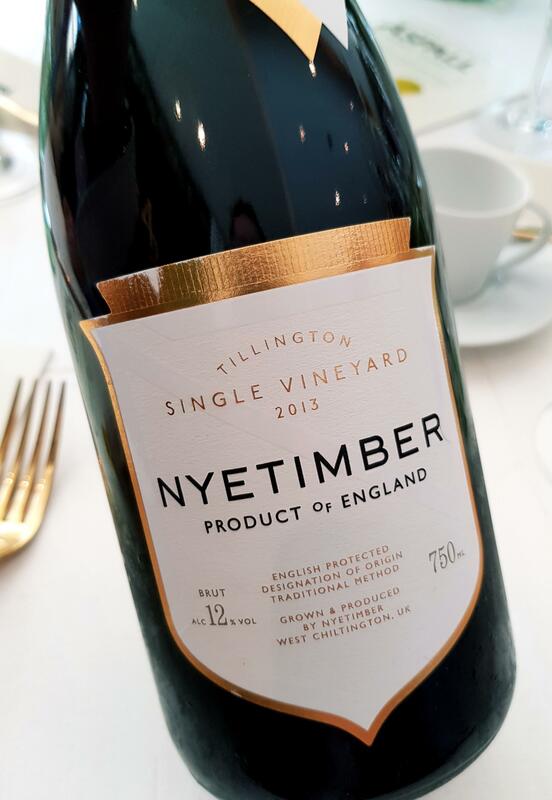 Nyetimber was the first English Wine estate to exclusively grow the three most celebrated grape varieties for fizz: Pinot Noir, Pinot Meunier and Chardonnay. The Tillington story began in 2009 when head winemaker Cherie Spriggs discovered an extraordinary parcel of Pinot Noir at the site with a fantastic specific character. In outstanding vintages this parcel is kept apart from the usual cuvée and then blended with some specially selected Chardonnay grapes – also exclusively from the Tillington Vineyard – which add a touch of elegance and finesse to the wine. The 2013 vintage is just the third release of this very rare cuvée. ‘Since first tasting the fruit at Tillington in 2009, there’s been something really magical – quite exceptional – about this one particular parcel of Pinot Noir.’ Cherie Spriggs, IWC Sparkling Winemaker of the Year, July 2018. This 2013 vintage release comes from the same Tillington plot and remains the only ‘single vineyard selection’ from an English Sparkling Wine producer. Nyetimber’s quality is well known and respected. Their successes are well deserved and they have often led the way for others in this still growing sector. Here, with their Tillington release, they are striving for an ultimate expression of their beautiful West Sussex vineyard and this special selection certainly is one of the finest wines of the UK. Ground-breaking but not just a headline, this is serious wine that has a promising future ahead. Sadly there is not much made and we are selling it strictly on a first come-first served basis. Catch it while you can!